Scott Morrison, the Australian Prime Minister better known to the rest of the world as “the new one”, has called the country’s federal election for 18 May. The facts of it are astonishing: a country approaching 27 years since its last economic recession has not seen a Prime Minister serve a full term of government in a decade. In Australia, without fixed-term national governments, the party of government has the prerogative to choose the exact timing of the election, roughly every two-and-a-half to three years. Under the rules 18 May was the last possible date the 2019 election could be called, which should tell you something about how eager the current conservative Coalition government is to go to the polls. Not very. After tearing down not one, but two, of its own prime ministers since winning government in 2014, the Liberal-National Coalition has perpetually trailed the Labor opposition in the polls, despite Labor’s personally unpopular leader, Bill Shorten. Morrison has been in the top job just seven months, after a right-wing cabal of MPs ousted his moderate predecessor Malcolm Turnbull, himself the political assassin of his more conservative predecessor Tony Abbott. Labor did the same in its last term, dispatching two PMs. The facts of it are astonishing: a country approaching 27 years since its last economic recession has not seen a Prime Minister serve a full term of government in a decade. We should get a condition named after us (the Australian disease?) for a complacency-induced brand of self-defeating political dysfunction and leadership churn. 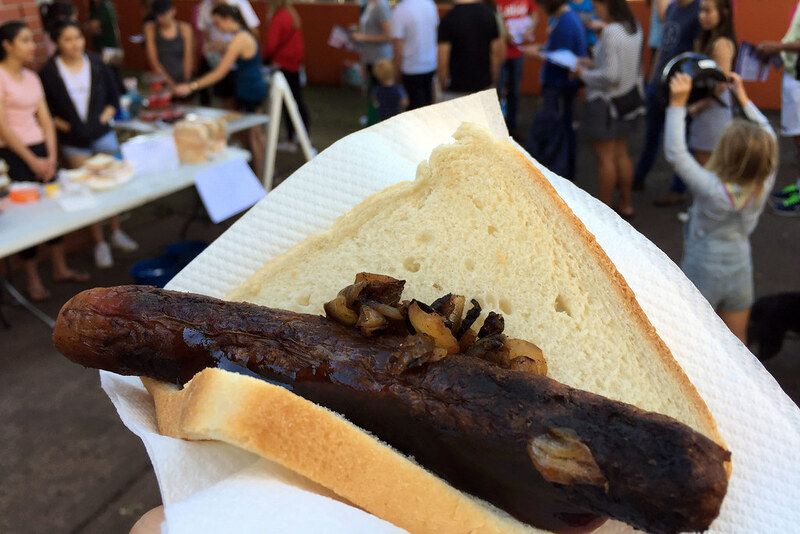 Morrison’s announcement means weary Australian voters are bracing for another five-week national election campaign, culminating in a compulsory vote washed down with a democracy sausage*. 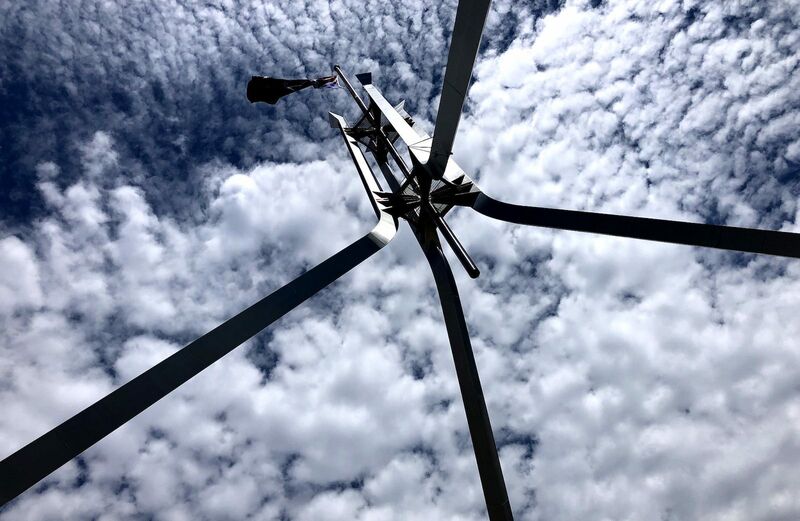 “We live in the best country in the world, but to secure your future, the road ahead depends on a strong economy,” Mr Morrison told a Canberra press pack early Thursday morning after announcing the election. Battlelines were drawn along familiar themes: given another shot, the Coalition would maintain a strong economy, boost jobs, cut taxes, keep the borders secure, and finally deliver the elusive budget surplus that has been promised annually throughout the party’s nearly six years in government. Morrison, never what you’d call a memorable speechmaker, could only offer a lukewarm rallying cry as the figurehead of an incumbent government that’s deeply on the nose with voters. “There is more to do, and a lot has got done. We are getting on with the job,” he declared. Morrison faces an opponent in Bill Shorten whose blancmange demeanour masks a history of bare-knuckled, backroom union power-broking. He’s been Opposition Leader for five-and-a-half-years, an age in our current milieu, and even survived the loss of a senator to a foreign interference scandal that brought Australia’s debate about Chinese influence to a head. Shorten is routinely referred to by satirical newspaper The Betoota Advocate as the Steven Bradbury of politics, for the Australian ice-skater who took gold in the 2002 Winter Olympics after all his opponents were taken out in a last-corner pile up. Still, Shorten deserves credit for keeping his party disciplined, and actually producing some courageous policies on climate change and negative gearing in the past year, while the Coalition government, ravaged by internal power tussles, has squandered its terms. Shorten, speaking after the Prime Minister’s election announcement, touted a “fair and inclusive” vision for Australia, and emphasised his party’s traditional strengths in health and education. “Today, the case to vote Labor is we will deliver more jobs, better health and education, take real action on climate change and renewable energy and help push energy prices down,” he told reporters. Labor needs barely a 1% swing in the ballot results to win government, but Shorten denied he sees himself as the frontrunner. Of particular interest in the contest will be the fate of former prime minister Tony Abbott, whose well-heeled seat in Sydney’s north shore is under serious threat from star-powered independent Zali Steggall, a barrister and Olympian campaigning for action on climate. The other former Liberal prime minister, Malcolm Turnbull, left parliament after he was pushed out of the PM’s job in August. Once-loyal Liberal voters in his seat vented their fury at his treatment in a by-election and installed another centrist independent, Dr Kerryn Phelps. A loss for Abbott, whose vociferously effective opposition to action on climate change has paralysed Australia’s energy policy for years, would mean voters even in his heartland want to draw a line under a dysfunctional decade in Australian politics. * The democracy sausage is traditional barbeque fare rolled out at polling places across the country on election day, and has done much in practical terms to enliven the ritual for queuing voters depressed by the self-serving machinations of their political class. In the darkest days of John Howard’s pre-Lazarus life, before the triple by-pass and successful political resurrection, one of the many ways he was disparaged as being unfit to be prime minister was the argument that he simply did not have the presence or the bearing to represent Australia overseas. That was when cartoonists drew him as a diminished, comical figure, hopeless in every way, including as the potential face of Australia on the global stage. Morrison’s church is closely linked to the US evangelical Christian movement, in particular to what is known as “prosperity theology”. Howard, as we now know, proved his critics wrong, becoming a significant international figure. Whether you agreed or not with his foreign policy choices, it had to be acknowledged that once in the job of prime minister and, forced by the realities of Australia’s national political imperatives, Howard took very seriously and enthusiastically his role in international affairs. Five prime ministers on from Howard, Scott Morrison finds himself in a similar situation, disparaged by critics who argue that he is not up to the job, ridiculed over his personal style and doubted as a leader who could make an impact beyond Australia’s shores. The advantage that Morrison was given - going into this election as prime minister after more than half a year to stamp his authority on the job – has counted for little in terms of his standing with voters. In international affairs, the issue which appears to have made the biggest domestic impact was his much ridiculed “bear hug” for New Zealand Prime Minister Jacinda Ardern when he greeted her at the Christchurch massacre memorial service. Social media comparisons of Morrison and Ardern have been cruel. Where Ardern appears to have slipped comfortably into the role of her nation’s leader on the world stage and made a big impact, Morrison has yet to show either flair for, or any significant interest in, international affairs. Morrison’s formative years in government and policy making were in immigration and border protection where the symbolism was of sealing borders and shutting out foreigners. All this, of course, can be dismissed as of little consequence for what would happen were he to win the election and take on the longer-term challenges of governing, as distinct from the first six months in which his challenges were overwhelmingly in domestic politics and in the need to try to save the Coalition from electoral disaster. Australia’s big foreign policy challenges have understandably been put in the “to do later” basket, after the election. A re-elected Coalition government, however, would have to turn its attention to that list immediately it was sworn in, just as a newly elected Labor government would also have to do. And while the betting odds are heavily against a Coalition victory, the possibility of its re-election must still be taken seriously, as should the consequences for Australian foreign policy and international relations. The first thing that must be said about Morrison and foreign policy if he’s re-elected is that he will have to become fully and deeply immersed in the agenda of issues awaiting the incoming government. Apart from Kevin Rudd, whose life’s work had been in international relations and for whom foreign policy was both a passion and a natural fit, most Australian prime ministers in recent decades have needed to learn foreign policy on the job. Morrison has made one major speech on foreign policy since he replaced Malcolm Turnbull - to the Asia Society in Sydney in early November, shortly after he announced a review of the case for moving the Australian embassy in Israel to Jerusalem. In that speech, Morrison asserted that a Coalition government under his leadership would pursue a foreign policy based on “values” rather than through a “transactional prism”. The values he listed included freedom of speech, thought and religion, racial and gender equality, liberal democracy, freedom of association, prosperity through private capital, the rule of law, equality of opportunity, separation of powers and standing by friends who share the same values. The focus on “values” reflected the 2017 Foreign Policy White Paper which nominated “shared values” as the core of Australia’s pursuit of its international interests. Values of the kind outlined in the White Paper and embraced by Morrison in his November speech are values that few would contest as being those which represent Australian democracy and the Australian way of life. But the embrace by Scott Morrison of the principle of values-driven foreign policy raises some interesting questions, not much discussed at the time but puzzled over since by some foreign policy analysts. Scott Morrison is not just a politician. He is also a devout Christian in the evangelical stream of Christian belief. He is the first Australian prime minister whose faith is an unconventional (by Australian standards) brand of Christianity. His church, the Horizon Church, is closely linked to the US evangelical Christian movement, in particular to what is known as “prosperity theology”. Mark Jennings, lecturer in Religious Studies at Murdoch University, pointed out in an article in The Conversation that this stream of Christian faith is linked to “the neo-liberal approach to faith” which embraces as Christian principles the pursuit of “financial growth and entrepreneurial risk taking”. Key members of Donald Trump’s administration – including Vice President Mike Pence and Secretary of State Mike Pompeo – are also members of evangelical churches which believe in “prosperity theology”. Donald Trump himself chose a televangelist from the prosperity theology movement as one of the religious leaders who offered prayers for him on his inauguration. The influence of the evangelical Christian movement within the Trump administration is significant and becoming more apparent. Commentators have pointed to this influence in the Trump administration’s dramatic shift in US policy towards Israel. Evangelical Christians are the most pro-Israel lobby group in the US, on some estimates more supportive of Israel than American Jews. The evangelical movement believes that Bible tells us that the gathering of the Jews in Israel presages the return of Jesus to the Earth. When the Morrison government announced that it was considering following the Trump administration’s lead and moving the Australian Embassy from Tel Aviv to Jerusalem, it was seen as a cynical political move to win the by-election for Malcolm Turnbull’s seat, which has a large Jewish population. But subsequently, there has been discussion in political circles about whether there was something more to the move, that it may have been influence by Morrison’s personal Christian values, not just cynical politics. Reinforcing this speculation is the fact that the Australian evangelical Christian movement has been gaining influence within the Liberal Party for some time. A group of Liberals, including Morrison, regularly gathers for prayer meetings when federal parliament sits. When he has been asked about the influence of his religious beliefs on his politics, Morrison has downplayed it. “The Bible is not a policy handbook,” he has been reported as saying. But the question is an important one. The influence of the evangelical Christian movement within the Trump administration is significant and becoming more apparent. In the US, the increasingly powerful sway of the values of conservative Christianity inside the Trump administration is impacting in areas which directly affect Australia, in particular in the US–China relationship. When in late 2017 the Trump administration amended its strategic guidance to declare China as a strategic rival rather than a partner, the fact that China is an atheistic communist power whose values are antithetical to fundamental American beliefs in Christianity and capitalism were clearly influential factors. That tectonic shift in US thinking about China shook the Australian foreign policy establishment. It challenged the fundamental underlying assumption of Australian policy – that it could successfully balance its strategic alliance with the US and its economic relationship with China. The shift in American thinking about China from partner to rival forced then Prime Minister Malcolm Turnbull and Foreign Minister Julie Bishop to reassess their own thinking about China, after a period of increasingly strained interaction between Australia and China. For whomever wins the federal election, managing the Australia-China relationship and balancing it with the US alliance relationship will be by far the biggest foreign policy – and economic policy – challenge. If Scott Morrison defies the odds and secures election as Prime Minister in his own right, nothing else will so test his foreign policy and diplomacy skills. Morrison will have a natural affinity with his faith-sharing partners in the US administration who have made it clear that they have no difficulty bringing to their political and policy judgements their deeply held Christian beliefs, as evidenced by Mike Pompeo’s statement that he believed it was possible that God had chosen to make Donald Trump President to “save Israel”. We haven’t had an “evangelistic Christian” PM before. How powerfully Morrison’s deeply held personal religious beliefs and values would play into the way he does his job, should he retain it, could count for more in the foreign policy field than any other. In an odd quirk of timing, this year Australia and India’s elections will run in parallel. On 11 April, Scott Morrison made the trip to Canberra’s Government House and the official campaign finally began. On the same day, Indian voters began to go to the polls in the first of seven phases of voting in that country’s mammoth exercise in democracy. By 19 May, the last day on which votes can be cast – and the day after Australians will go to the polls – up to 900 million Indians will have exercised that right. Unusually too, India will feature in the Australian campaign. 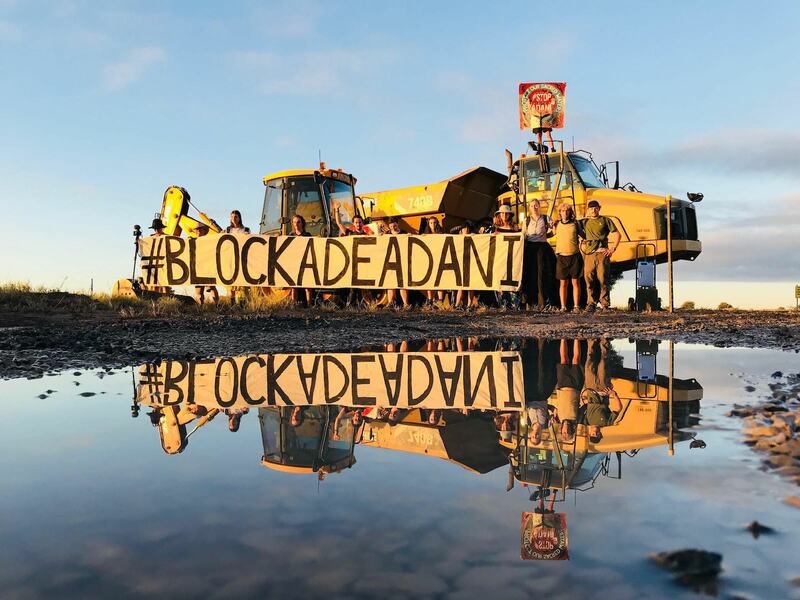 One of the last acts of the Morrison government was to give the federal government’s go ahead for the Adani Group’s controversial Carmichael mine project in the Galilee Basin in Queensland. On 9 April, Environment Minister Melissa Price signed off on Adani’s groundwater management plan, despite doubts expressed by the CSIRO and environmentalists about its claims. Cheered by members of Liberal National Party, the decision was clearly intended to wedge the Labor Opposition in a key election battleground, and put Annastacia Palaszczuk’s Labor state government, which has dragged its feet over its own approvals for the project, at odds with some federal colleagues. At the same time, this use of the Adani project as a political football will bring into question once again the commitment of some in Canberra to the bilateral relationship with India. The two countries have increasingly close defence and security ties, signalled by the recent AUSINDEX naval drill. Whatever one thinks about the Carmichael mine itself – and, to be clear, I have serious doubts about it – it has caused some friction in Australia-India relations. Some have treated the promised investment as a test of how welcoming Australia is to Indian money. Others observe that Gautam Adani, the founder of the eponymous Group, has long been close to his fellow Gujarati, Narendra Modi, now Prime Minister, but before that Chief Minister of their state. Whether the fate of the Adani project will harm bilateral ties is a moot point. Indian investment in Australia continues to grow. In 2017, it topped $15.5bn, up from $11.6bn two years earlier. And to be sure, big industrialists have long had considerable clout in New Delhi, and in the early years of Modi’s tenure, Adani had significant influence, especially in foreign economic policy. But since then, the government has tried to pivot away, at least in part, from its pro-business image, towards a more populist one that emphasises support for the poor. More broadly, even the most seasoned observers think Australia-India relations are better now than they have perhaps ever been. The two countries have increasingly close defence and security ties, signalled, for example, by the recent AUSINDEX naval drill. They are now involved in regular institutionalised dialogues, including the annual Foreign and Defence Minister so-called ‘2+2’s, trilaterals with Japan and the United States, and of course the Quad. Much effort has also gone into trying to restore momentum in the economic relationship, despite the foundering of talks for a free trade deal, with the release last year of Peter Varghese’s weighty and detailed India Economic Strategy, and the promise of an Indian equivalent. All this said, efforts to turn to the Adani project into even more of a contentious issue than it is already may not be helpful for bilateral ties. Committed as it is to a range of strategic initiatives involving Australia, New Delhi – and the Indian media – now pay much more attention to our fractious, febrile politics than they once did. However the Adani debate is handled over the next few weeks, there will be guaranteed attention from India. The big concern in New Delhi, however, is not Adani, but the attitude of whichever party will form a government in May towards India, China, and the region more broadly. India wants Australia to diversify its trade and security relationships, to resist Chinese pressure, and to deal effectively with alleged political interference by the Chinese Communist Party in our society and both parties. It wants us to see through the commitments made in the Varghese Report, and welcomes the bipartisan support it has been given. Above all, what New Delhi wants to see is a stable government in Canberra capable of managing relations with key regional powers in a measured way. It wants continuity, and fears sudden changes of direction in foreign, economic, and security policy. The Rudd government, back in the late 2000s, caused palpitations in India with both its grand ambitions and its unpredictability. The present administration, chopping and changing its leaders, and abruptly announcing changes to visas and work rights, directly affecting thousands of Indian citizens, has also generated anxiety. Whoever wins on 18 May should try to do better.